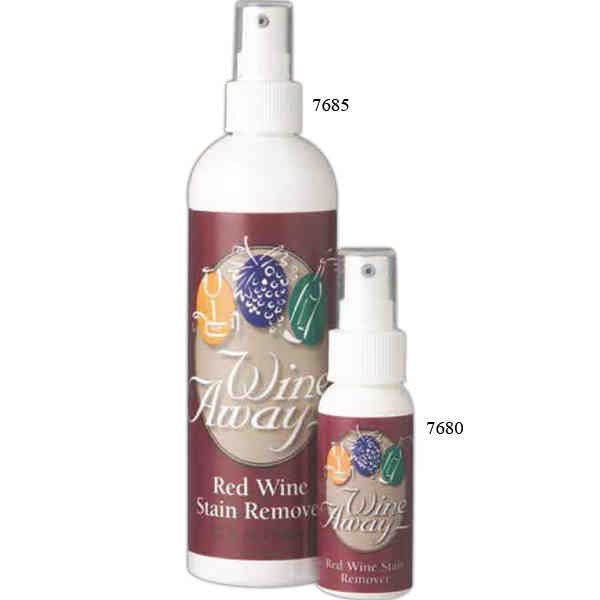 Red wine stain remover, 2 oz. spray bottle. Spray onto carpet or fabric, let soak and rub. Some stains may require a second application. Bleach-free and biodegradable. Made from vegetable extracts. Safe when used around children and pets. Also works on other stains such as cranberry juice, coffee and more. Fresh citric scent. Blank.